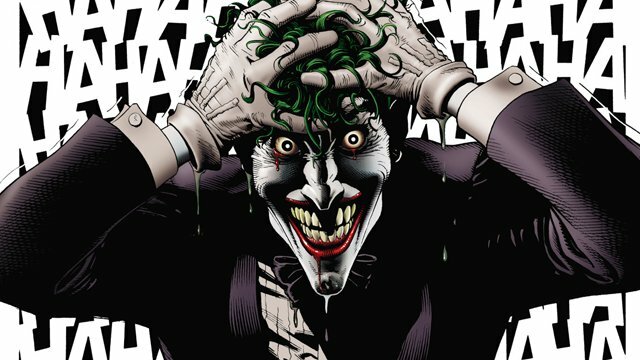 In a move that still has fanboys baffled, Warner Bros. is moving ahead with its previously announced Joker origin movie. The film will be separate from the DC Extended Universe and will feature a new actor playing the role, with Joaquin Phoenix (Inherent Vice) signing on earlier this month for the role. Phoenix recently sat down with Collider to discuss the film and his feelings on the role. Phoenix, who considers himself very careful when it comes to choosing which films he works on, found himself impressed by Todd Phillips (The Hangover)’s script and vision for the film and the universe he creates, calling it “unique” and admitting that it “scares the f***ing s**t” out of him. The 43-year-old actor also discussed ideas he had similar to this film not too long ago. “Three or four years ago, I called my agent and said ‘Why don’t they want to take one of these characters and just make a lower budget film about it, a movie but a character study, and why not take one of the villains?’” Phoenix said. Ironically, he also discussed how he thought the Joker would not be the right character for this concept, as this character study has been done before for the popular villain and it wouldn’t be right to revisit it. Phoenix also described his feelings on the expectations coming from the role, saying he always feels anxiety when he takes on a role from a writer/director for fear he might not have met their expectations. “But it feels magnified because it’s not just one person’s expectations, but what you’re telling me is that there’s at least a dozen,” Phoenix said. Phillips will be directing the film on a script co-written by him and Scott Silver (The Finest Hours) and though no release date is currently set for the film, principal photography is expected to begin this September.